Hughes is the founder of Scampers Daycamp for Dogs. While living in Massachusetts, Stina adopted Rosie, a lovely but skittish beagle (better described as a nose with feet, with her tendency to trot off to follow every interesting scent). Shortly after adopting Rosie, Stina discovered the nearby doggy daycare was her perfect solution to an active family and work life. A few years later, when the Hughes family returned from New England to the Pacific Northwest, Stina was unable to find a convenient location for doggy daycare to keep Rosie busy during workdays. She decided she could solve the problem, not only for herself but also for other Eastside residents, by opening Scampers Daycamp for Dogs. Stina comes to the doggy daycare industry after a checkered career that includes database marketing, business administration and interior design. She brings a whole lot of love for animals in general, and dogs in particular. Over the years, the Hughes pooch population has changed a little. Rosie has made her way to the Rainbow Bridge, but the family enjoys Sully the Black Dog (a mutt, really) and Benny the Blond Dog (yes, another mutt!). In addition to the pooches, Stina shares her life with hubby, Lindsay, a research analyst at Microsoft, and daughter, Sarah, a student at WSU. Linda Olsen relocated to Redmond from Vancouver, BC to partner up with her sister, Stina, and become the co-founder of Scampers. 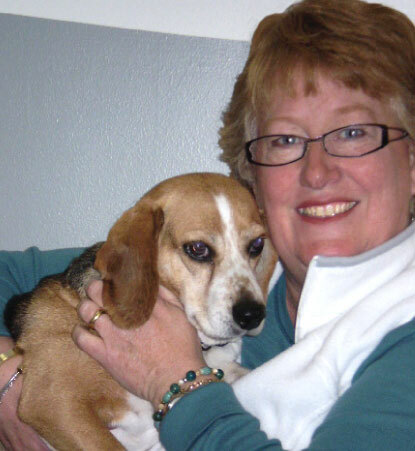 Linda took the leap to rejoin her family following a long career in executive support in various industries including franchising, real estate development, software development, and engineering, as well as extensive experience in retail sales management and customer service, and a lifelong love for dogs. 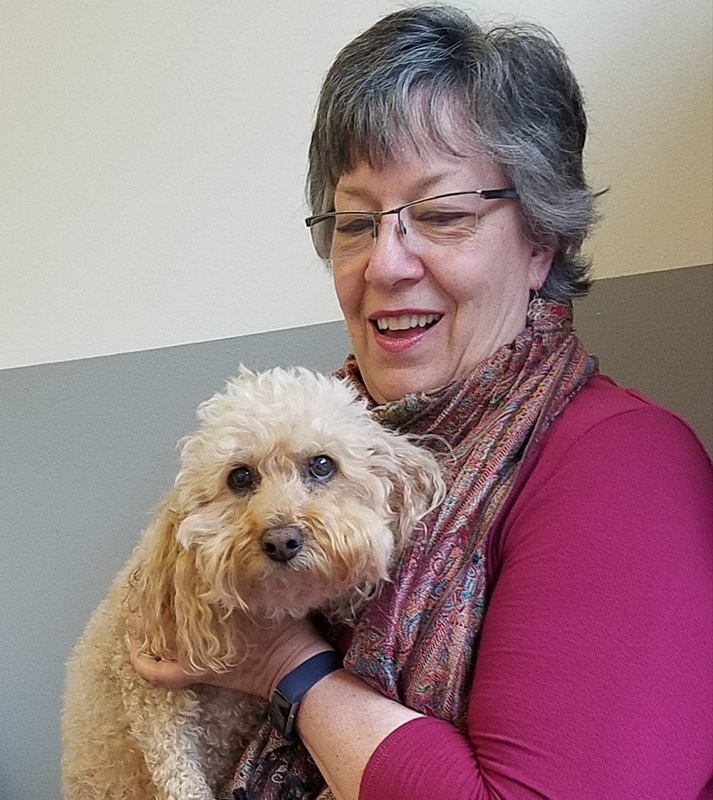 Linda’s adopted her pooch, Biscuit, a shy but charming apricot Poodle/Bichon mix, shortly after relocating to Redmond, and the pair are all but inseparable. The pack socialization process at Scampers Daycamp for Dogs helped Biscuit to become less fearful as she learned her place in the pack, and over the years she has built a circle of very good friends, canine and human alike. Linda and Stina participated in a week-long pack management training program before opening Scampers in Kirkland and shared their training with staff as they built the Scampers team. They also provide continuous individualized training by an animal behaviorist and dog trainers in an effort to ensure all Scampers’ staff are fully equipped to handle large numbers of dogs with an understanding of canine behavior based on the most recent science along with specific playgroup management techniques, as well as Canine First Aid Training.